Weeks Bayou is a small perennial, tidal stream situated in Section 29 and Section 32, T7S-R8W, Jackson County, Mississippi. It drains an area of approximately 600 acres and flows into the Bay of Biloxi where it transects Shearwater Drive-East Beach Drive forming the boundary between the two thoroughfares. Weeks Bayou is scenic and is an important food source for marine and terrestrial animals. Weeks Bayou was named for the Silas Weeks family. 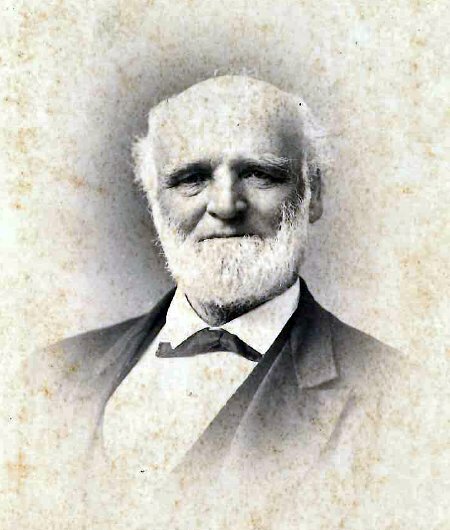 Silas Weeks (1823-1901) was a Maine native possibly from Bath; retired sea captain and New Orleans shipping agent. In July 1879, Matilda Rayne Weeks (1830-1912), the spouse of Captain Weeks, acquired a large parcel of land facing Deer Island between the Mill Dam Bayou (now Ocean Springs Inner Harbor) and a small bayou, which became known as Weeks Bayou from John I. Kendall (1841-1898) and Mary E. Kendall of New Orleans. The Weeks tract was east of the William Gray Kendall (1812-1872) estate, which centered about the present day Hanson-Mitchell Estate, called Shadowlawn, on Shearwater Drive. Here, the Weeks family erected a large summer home, which they appropriately named, "Anchorage". Captain Weeks retired here raising poultry and growing vegetables until his demise in January 1901. "Anchorage" was legated to his daughter, Jessie Weeks Boyd, and later owned by her daughter, Miss Jessie M. Boyd (1881-1963). It is believed to have been demolished in the 1940s. Matilda Rayne Weeks was born in London, England of Robert W. Rayne and Mary B. Langdon. With Silas Weeks, she reared a family consisting of four daughters: Ada W. Depass (1851-1909), Jessie W. Boyd (1855-1932), Hattie W. Darsey (1858-1939), and Mamie W. Rice (1864-1937). Ada Weeks Depass married David Depass (1850-1926) of New Orleans. He made his livelihood dealing in stocks and cotton futures. In June 1890, they purchased what we know today as the Shearwater Pottery of the George W. Anderson (1861-1937) family from Albert Baldwin (1843-1912), a dry goods merchant and entrepreneur of New Orleans. They had one daughter, Hattie Virginia Depass (1882-1926+), who married Howard Hall. The Halls resided at Chicago. Jessie Weeks Boyd married a Texan, William Boyd. Their children were Silas W. Boyd (1876-1950) and Jessie M. Boyd (1881-1963). Silas W. Boyd made a career in the Mississippi lumber business operating out of Jackson, while his sister, Miss Jessie M. Boyd, gave her life helping others primarily with the American Red Cross. She was at the scene of many of the great floods of the 1920s and 1930s, including the infamous August 1936, Johnstown, Pennsylvania disaster. Hattie Weeks Darsey (1858-1939) was born at sea possibly on her father's ship. She married Lowndes A. Darsey (1849-1929), a Methodist minister, from Georgia. The Reverend Darsey came to the Mississippi Conference circa 1904, and served Methodist Episcopal churches at Ocean Springs and Pascagoula. The Darsey children were: L.A. Darsey Jr., J.W. Darsey, G.U. Darsey, Rison C. Darsey, Mrs. Joe Zink, and Mrs. Lee Hammond. Mamie Weeks Rice (1864-1937) married George A. Rice (1860-1942) of New Orleans. They had one child, Ethel Weeks Rice (1887-1969). 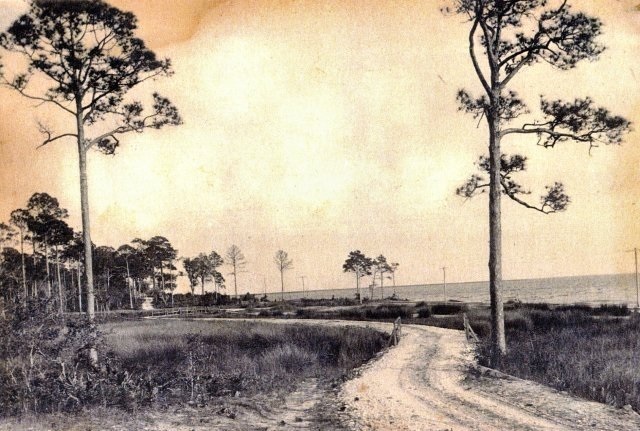 In May 1883, Captain Silas Weeks acquired sixty acres of land on East Beach. This purchase precipitated a legal action in the Chancery Court of Jackson County, Cause No. 416, "Martha H. Hilzeim v. Mary E. Snipes, Silas Weeks, et al", filed February 1892. The disputed tract of Captain Weeks at East Beach was located in Governmental Lot 4, Section 32, T7S-R8W. The Mississippi Press, "Emergency declared to replace OS Bridge", January 14, 2003, p. A-1. The Gulf Coast Times, "Works Starts On Sea Wall", August 5, 1949. The Ocean Springs Record, "Bridges may be open in 90 days", June 26, 2003, p. A1. The Pascagoula Democrat-Star, "Ocean Springs Locals", June 22, 1900.